I love golf! Like all golfers, I do not always hit good shots. In fact, even the best golfers often hit poor shots that they wish they could “do over.” In golf, the term is “mulligan.” You hit a bad shot and you plead with your fellow players to allow you to try the shot again. This is certainly against the rules of golf but a common occurrence on the course. In the classroom, students often complete an assignment and receive a poor grade. Like the golfers, they often plead with their teacher to redo the assignment. The question being; should we allow students to redo assignments? Teachers will vary on their response to this question (obviously some are not golfers). The golfer hopes by taking a mulligan they will improve their score. The same can be said for the student, as one poor grade could drop their grade average and lower their final grade. The golfer who hits another shot, hopes to learn something from doing it again. We hope that students will do the same. It really shouldn’t be about the grade but what they learned. If a student gets an opportunity to redo an assignment, here are a few tips for parents and teachers to help ensure that they learn. Have the student turn in the first assignment with the corrected second assignment but require a short explanation about what they did differently. Have the student complete an alternative assignment which focuses on the same skill. Select the skill the student is struggling with and provide them with a task that focuses on that specific area, not the rest of the material in the assignment. Require the student to complete a “Request to Redo Assignment” form, in which they need to explain the issues relating to their poor grade and obtain signatures from parents and teacher. Like mulligans, redo assignments need to be used with discretion. However, we need to focus on what kids are learning, not their grade. P.S. 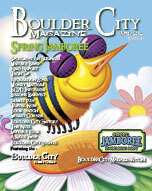  Boulder City golfing buddies, I could use a mulligan once in a while!